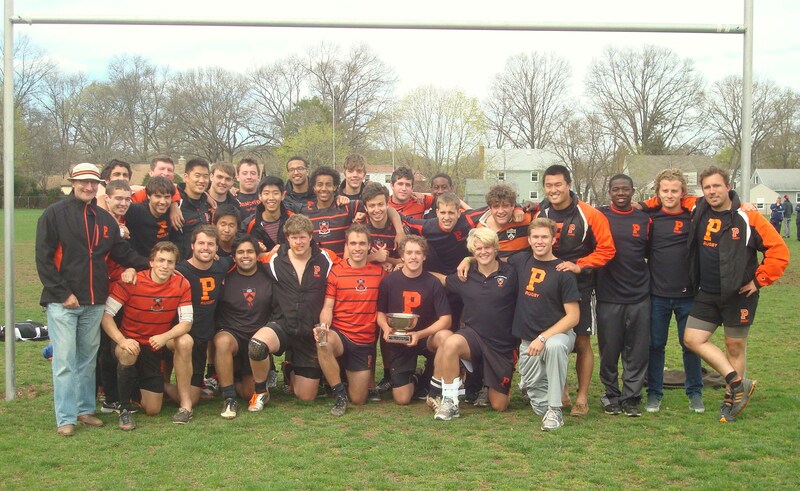 The Princeton men's rugby team was first established in 1876 when Yale, Harvard, Princeton, and Columbia formed the Intercollegiate Football Association, which used the "rugby code". 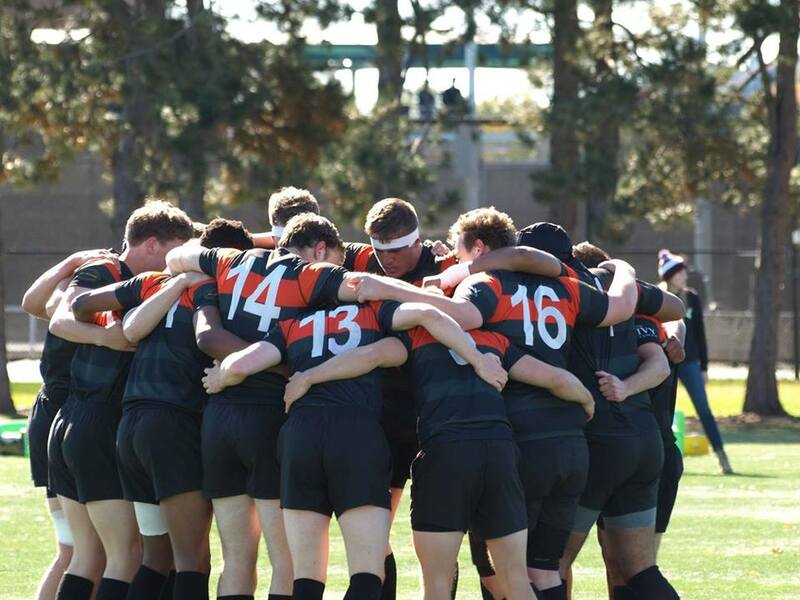 By the early 1880s, the game which originated using the rugby code had quickly evolved away from rugby as we know it. 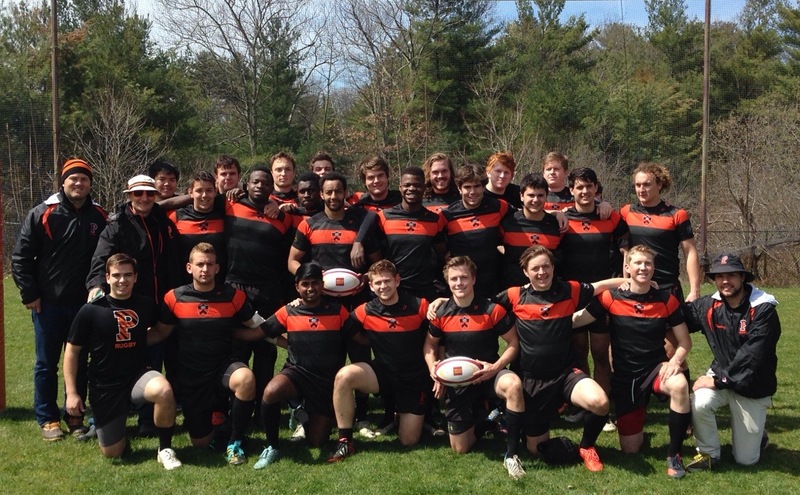 This makes Princeton one of the oldest rugby clubs in North America. 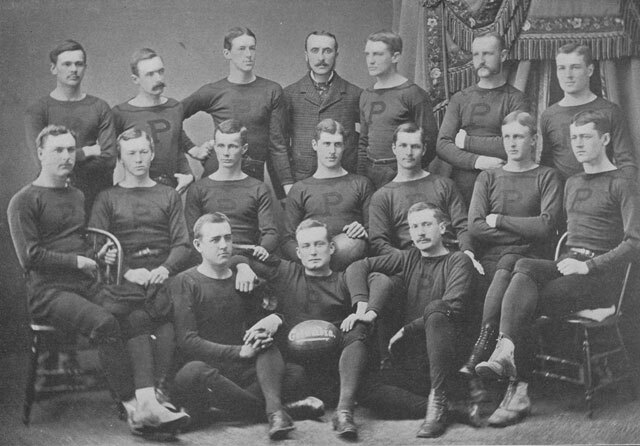 Though it is uncertain how long rugby remained active at Princeton once American Football took over, we do have photos of the team in 1878 and 1889. 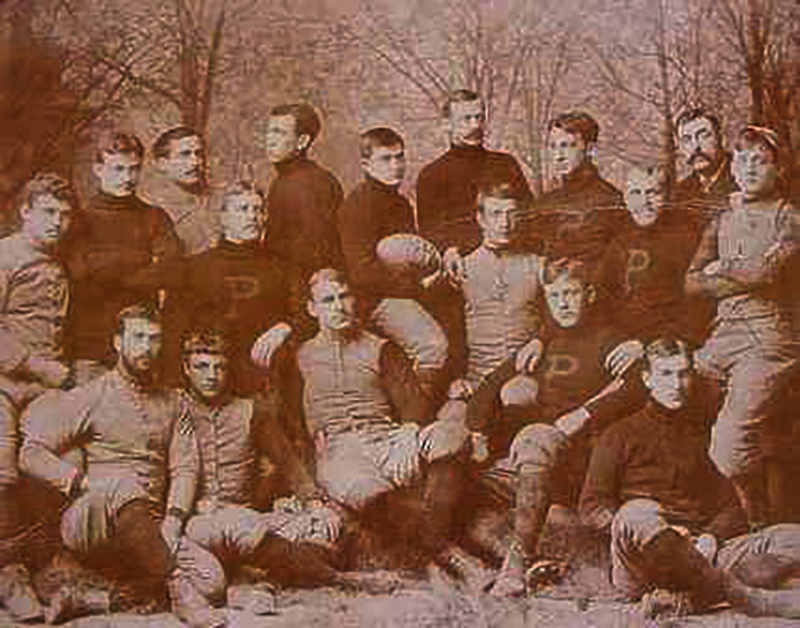 Though the 1889 photo may actually be the 'football' team. 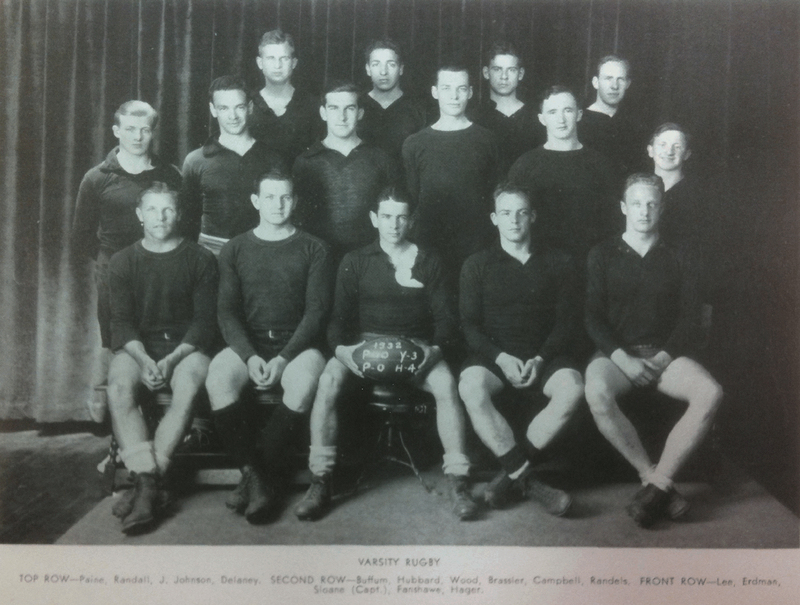 After an interruption, the club was reorganized in 1931. 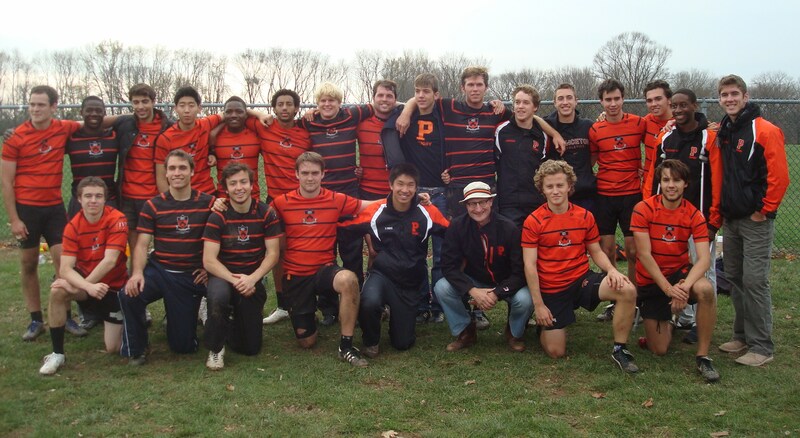 Rugby at Princeton began again with the founding of the Princeton Rugby Club in the spring of 1931 by a few British graduate students, H. Cooper, Monti Barak, Hugh Sloan, Harry F. Langenberg. 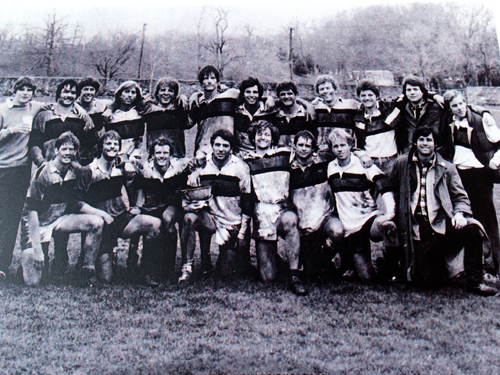 Coaching was provided by Professor John Boardman Whitten, who actively supported the club throughout the next forty-five years. 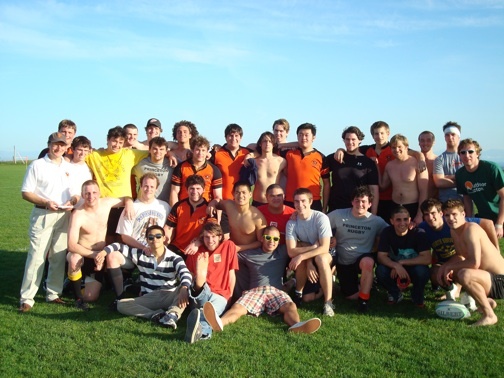 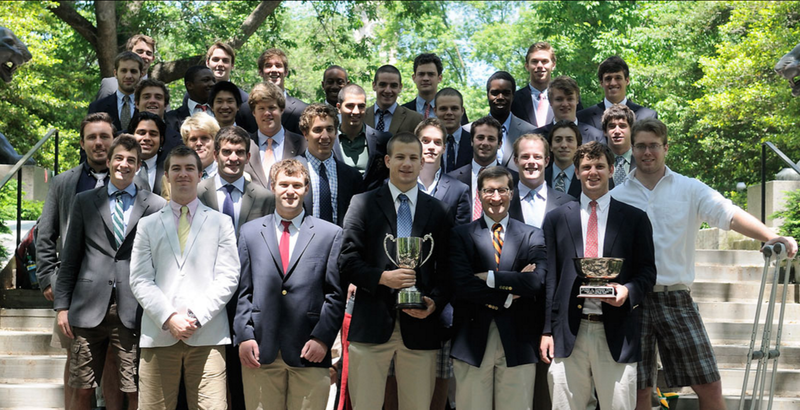 The initial season was highly successful, as both Harvard and Yale were defeated twice. 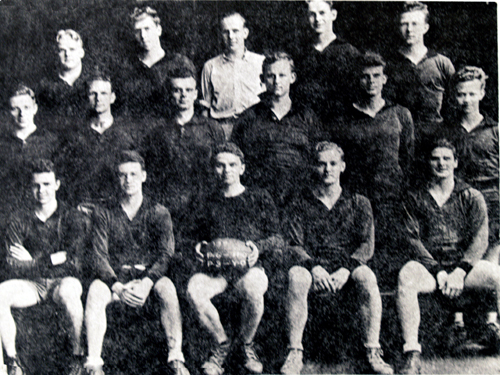 In 1934 the team, captained by Ed Lee '34, lost only to a touring Cambridge University side. 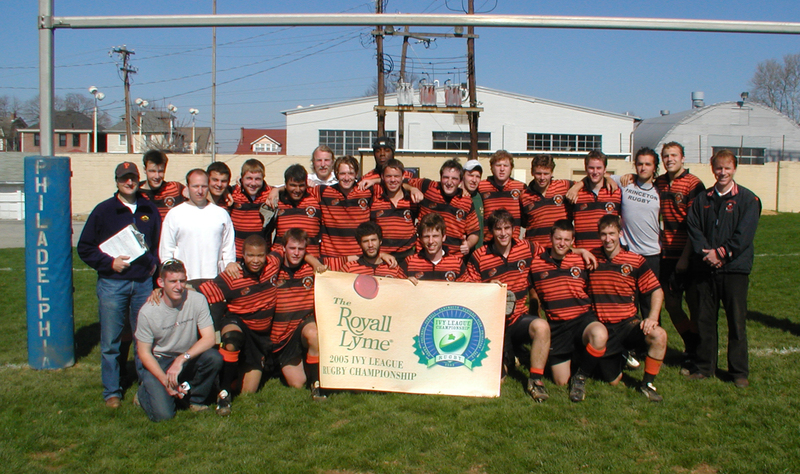 It has been playing fairly continuously ever since. 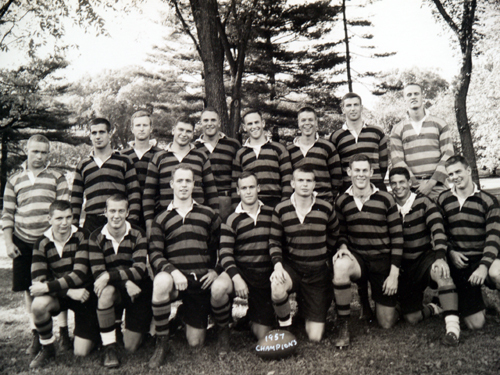 Suspended during World War II, rugby was propitiously revived in the spring of 1948, when the club won the Bermuda Cup and the Missouri Cup, and was featured in an article in Life magazine. 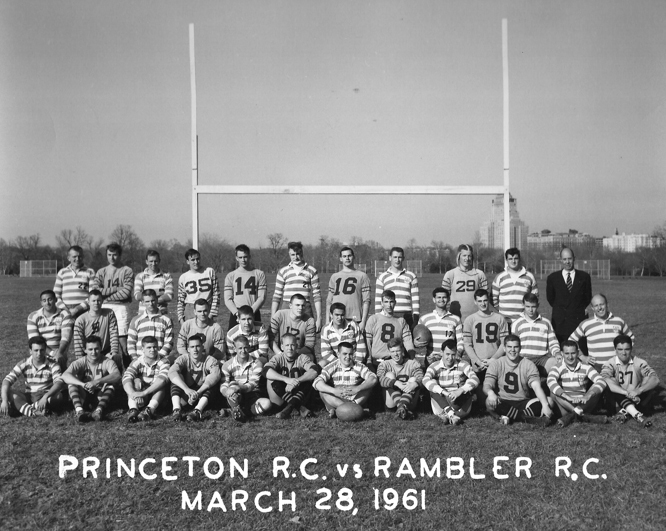 In the fall of 1959 and the spring of 1960, the club put together successive undefeated seasons. 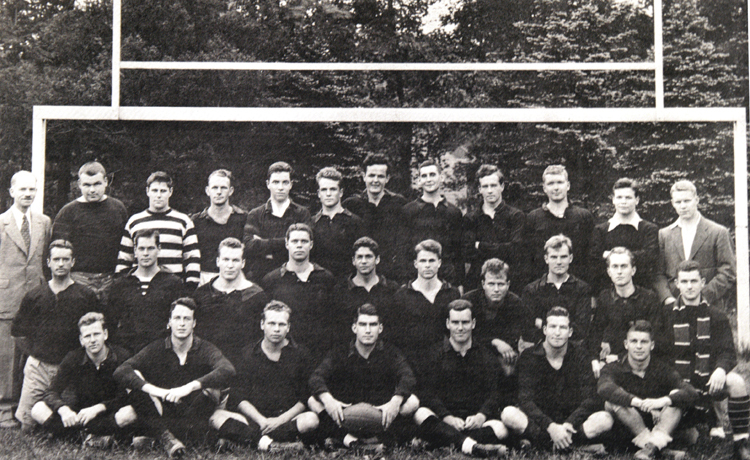 The team of 1962, led by Bill Swain, won the first Commonwealth Cup tournament. 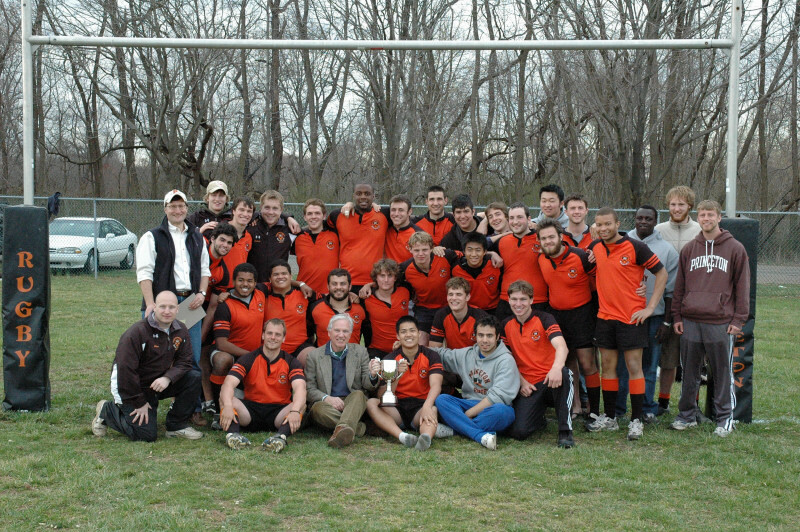 In 1969, captain Terry Larrimer's team won the first Ivy League Rugby tournament, the Easterns Championship, and the prestigious Washington 7's tournament. 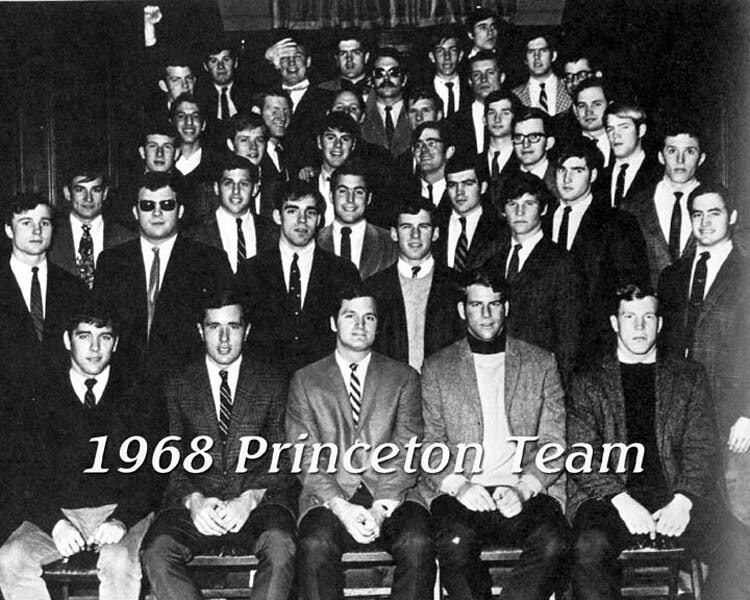 In 1970, the Princeton Rugby Alumni Association was formed to support the undergraduate teams and to play an occasional ''Old Boys'' match. 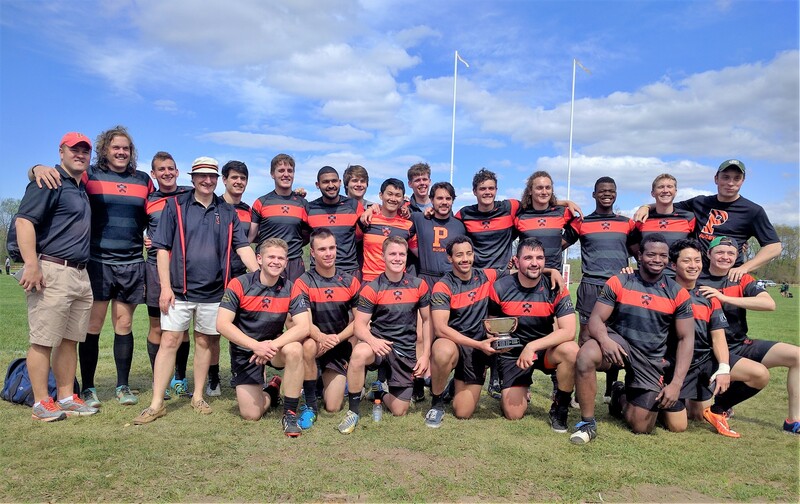 This created a new tradition at Reunions when the alumni take on the students for the Doc Whitton Cup -- a match remarkable for the quality of rugby played and for the fierce yet friendly rivalry that exists between students and alumni.